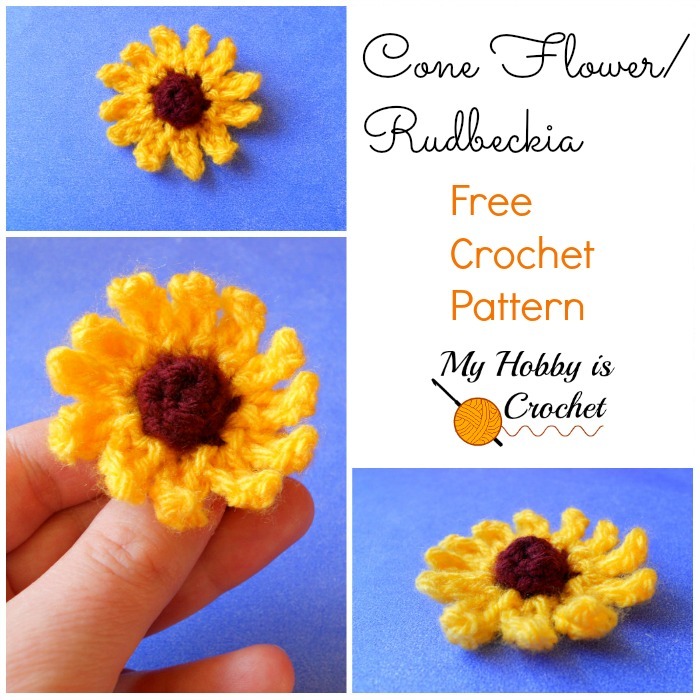 I call it Rudbeckia, but it could be a crochet sun flower also. - tapestry needle for weaving in loose ends. Note: For the flower center use a stitch marker or a small piece of yarn in a different colour to mark the first sc of the round. That will help you to see where to join in the round. Using brown yarn, begin with a magic ring. 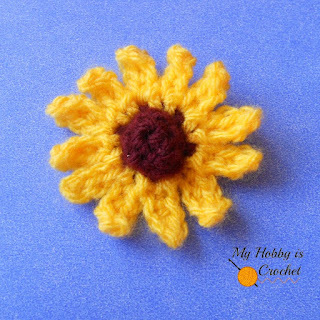 Note: You will make 2 petals in each of the 6 sc of the center. Total 12 petals. 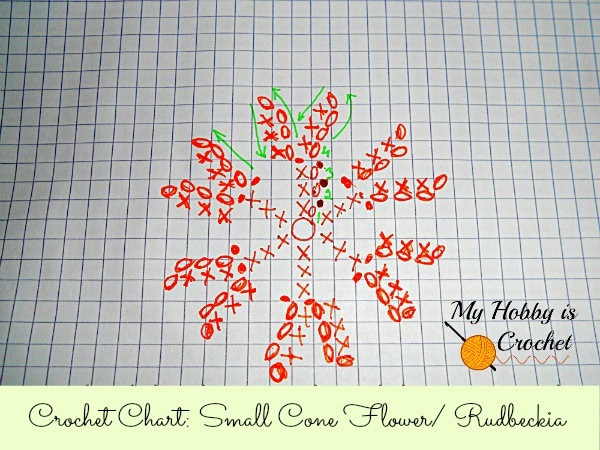 Small tip: If you have an odd number of petals, you will make 1 petal more into same sc of the center. If you have an even number of petals, you will know that the next petal will be made in the next sc of the center. Join yellow yarn in a sc of the round 3.
ch4, skip 1ch from the ch4 just made, 1sc in each of the next 3 ch, sl st in the same sc, ch4, skip 1 ch from the ch4 just made, 1sc in each of the next 3ch, (sl st in the next sc, ch4, skip 1ch, 1sc in each of the next 3ch, sl st in the same sc, ch4, skip 1ch, 1sc in each of the next 3ch) x5 times. Insert the hook from the back to the front into first sc of the center (from the last brown round) and pull yarn through. (12 petals). Fasten off. Thank you for the free flower patterns! I use them for a lot of things. Wreaths and jewelry etc. I really enjoy your Blog and facebook page too.